We would like to announce that 2019 JASFL Spring Workshop is held on April 20th at Aichi Gakuin University. Those who will join the conference dinner are requested to have a contact with Prof. Makoto SASAKI (msasaki@mac.com) for application by April 12th (Fri). Proceedings of JASFL vol.12 (2018) is now available. Proceedings of JASFL vol.12 (2018) is now dowonloadable. Please refer to Proceedings. We would like to call for proposals for the spring workshop. Those who plan to organize a workshop session are requested to submit their proposals (800 words) by March 9th (Sat), 2019 to Secretary (secretary@jasfl.jp). The workshop is to be held either in English or Japanese. The amount of time for each session is 60 minutes including a question and answer session. For further information, contact Hidefumi Miyake (secretary@jasfl.jp). Due to the availability of the hosting university (Yasuda Women's University, Hiroshima), we have to change the dates of Autumn Conference 2019. The new dates are October 19th (Sat) and 20th (Sun), which are one week later than the previous announcement at the general assembly last year. There is no change in the venue. I'm looking forward to seeing you then. ＊This Conference is co-hosted by Nippon Sport Science University. Please take one bound for ‘Yoga Station’ and get off at ‘Nihon Taiiku Daigaku Mae (Nippon Sport Science University). 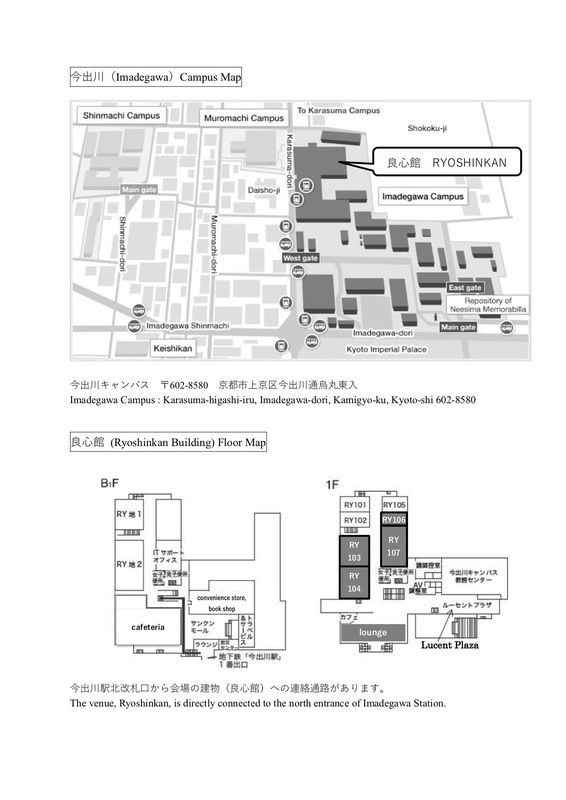 ＊The dining hall and the convenience store on campus are available only on 6th (Sat). Abstracts are invited for presentations at the Annual Conference of the Japan Association of Systemic Functional Linguistics. Presentations may be on any aspect of functional linguistics, including trans-disciplinary studies, and may focus on such fields as multimodal, educational, critical discourse studies, media studies, etc. 3. Time of Presentations: 40 minutes including 10 minutes for question time. (3) An abstract must be sent as one of the following format: MS-Word, PDF or Rich Text Format (RTF). The abstract must be sent to JASFL Secretary (secretary@jasfl.jp) as an attachment file. Please clearly state "JASFL2018 ABSTRACT" in the subject line of your email message. The proceedings will be published after the conference. I am honored to announce "Call for Papers for Japanese Journal of Systemic Functional Linguistics volume 10.
workshop proposal. We apologize for any inconvenience. For further information, contact Ryuichi Iimura (secretary@jasfl.jp). Japanese Journal of Systemic Functional Linguistics and Proceedings of JASFL are now downloadable/available on the web browsing. Please click “Japanese Journal of Systemic Functional Linguistics” or “Proceedings of JASFL” on the left column. Proceedings of JASFL are available unlocked, while the Journal, published two years ago, is password-locked. The password will be provided through JASFL emailing list. The last issue of the Japanese Journal of Systemic Functional Linguistics will be available online in 2019.
special reference to the definition of Finiteness. Abstracts are invited for presentations at the Annual Conference of the Japan Association of Systemic Functional Linguistics. Presentations may be on any aspect of functional linguistics, including trans-disciplinary studies, and may focus on such fields as multimodal, educational, critical discourse studies, media studies, etc. Secretary (secretary@jasfl.jp) as an attachment file. email message. The proceedings will be published after the conference. of April at Aichi Gakuin Unviersity. Masamichi WASHITAKE (washitak@dpc.agu.ac.jp) for application by April 19th (Wed). I am honored to announce "Call for Papers for Japanese Journal of Systemic Functional Linguistics volume 9.
proposals (800 words) by March 20th (Sun), 2016 to Secretary (secretary@jasfl.jp). 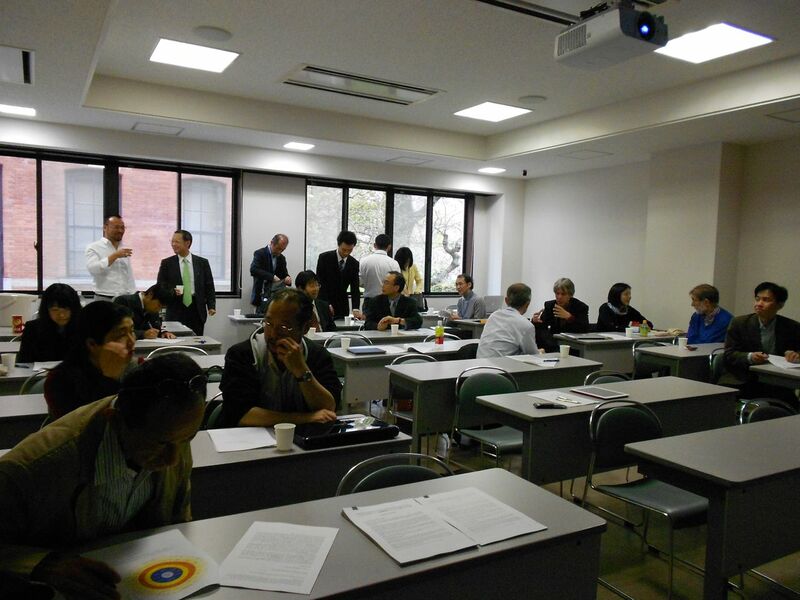 The workshop is to be held either in English or Japanese. 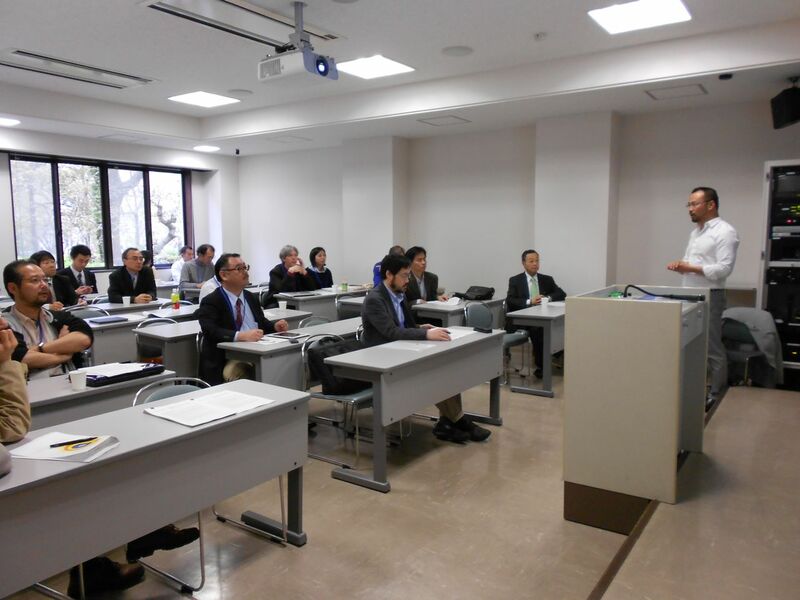 JASFL 2015 was held as scheduled on October 10th and 11th at Tamagawa University, Tokyo. 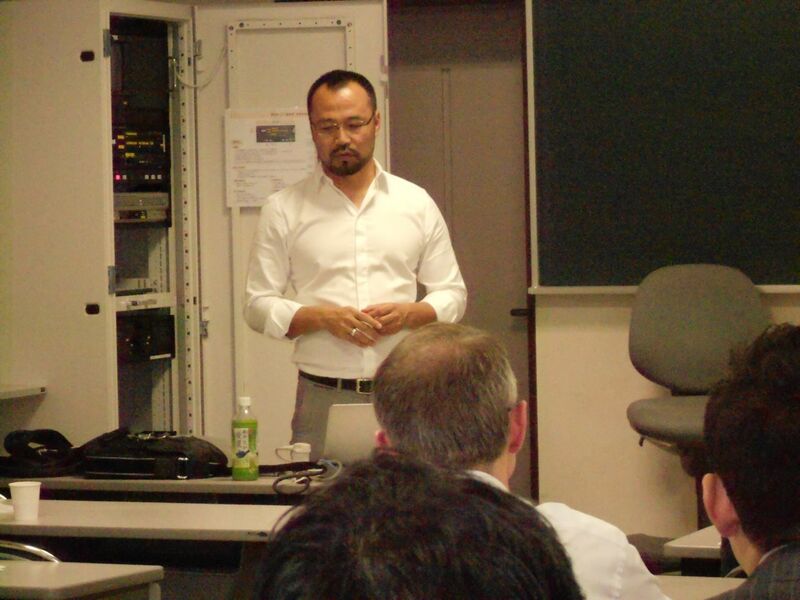 Prof. Tatsuki, president of JASFL, gave an opening remarks. Prof. Maher gave a special lecture on languages reviral in British Isles. Japan Association of Systemic Functional Linguistics. critical discourse studies, media studies, etc. For further information, contact Iimura (secretary@jasfl.jp). JASFL 2014 was held as scheduled on October 11th and 12th at Ryukoku University, Osaka-Umeda Campus. Prof. Tatsuki, president of JASFL, gave an opening remarks to shed a light on the concept of holistic context and topographic context. Dr. O'Halloraln gave a special lecture with manly slide images to demonstrate a latest study of multimodal analysis. This campus is on the 14th Floor of Hilton Plaza Osaka West. The details of the conference will be announced on this website soon. I am honored to announce "Call for Papers for Japanese Journal of Systemic Functional Linguistics volume 8. For further information, contact Ito (secretary@jasfl.jp). 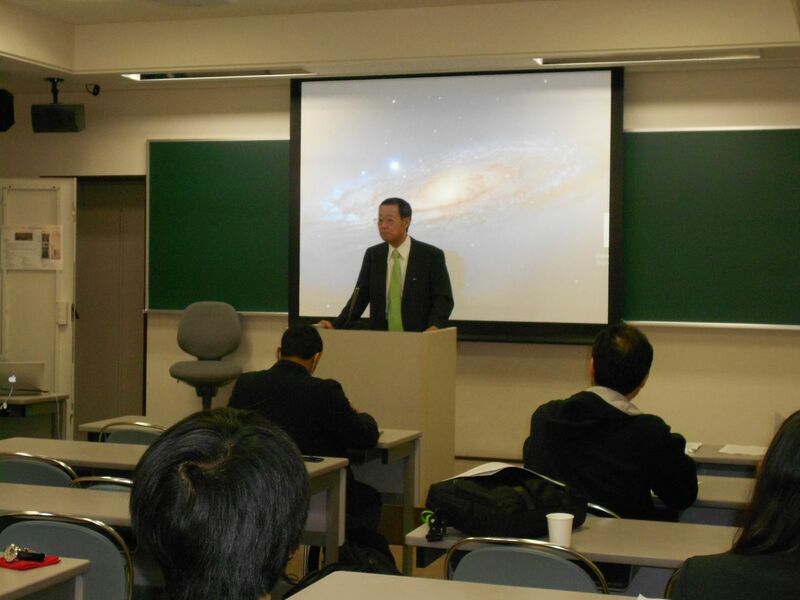 JASFL 2013 was held as scheduled on October 12th and 13th at Kanagawa University. Prof. Tatsuki, president of JASFL, gave an opening remarks to shed a light on the concept of context. The participants of the conference dinner held at a Chinese restaurant enjoyed the meal and deepened their friendship. Prof. Honna gave a special lecture with manly slide images to discuss how to use English as an international communication tool. * On 13th (Sun), the cafes on campus are closed (except McDonalds). Cafes and convenience stores are located near the university. Participation in research meetings or seminars held by either association or affiliated research group will be free. However, in order for the association offices to confirm membership status and communicate, registration must be submitted to the hosting association one week in advance. In addition, if a participation fee or materials fee is required of the host association members, as a rule, the same fee will be applicable to members of the opposing association when participating. Participation in the annual meeting held by either association will be free. However, in order for the association offices to confirm membership status and communicate, registration must be submitted to the hosting association one week in advance. Application to present research at either association’s annual conference is possible. However, in order for the association offices to confirm membership status and communicate, membership status in either association must be stated in the application. In addition, either association is entitled to limit the number of research presentations from the opposing association for reasons of its own. Note that when a member of either association is giving a presentation at the opposing association, separate presentation fees should be paid to that association. This exchange is active from April 1st, 2013. The extension or cancellation of the above agreement will be approved after consultation and agreement. be sent to JASFL Secretary (secretary@jasfl.jp) as an attachment file. Ritsumeikan University. The details are as follows. It is our pity to announce that the Spring Meeting, which was scheduled to be held on April 20th, 2013 is cancelled because we received no workshop proposal. We apologize for any inconvenience. The Autumn conference 2013 will be held on Oct 12th and 13th at Kanagawa University (Yokohama). Abstracts must be received no later than August 31st. The details will be informed later on the mailing list and the website. JASFL 2012 was held as scheduled on October 6th and 7th at Aichi Gakuin University. Prof. Tatsuki, president of JASFL, gave an opening remarks to reflect the past two decades history of JASFL as well as prospect future of the association. The dialogue symposium between Prof. Matthiessen and Prof. Tatsuki shed light on the futuristic development of SFL. The participants of the conference dinner enjoyed the meal and deepened their friendship. Prof. Matthiessen gave a special lecture with tremendous multimodal materials on slides to explain the notion "space" from viewpoints of cognition, evolutions of human and language. * On 7th (Sun), it is highly recommended to bring your own lunch. 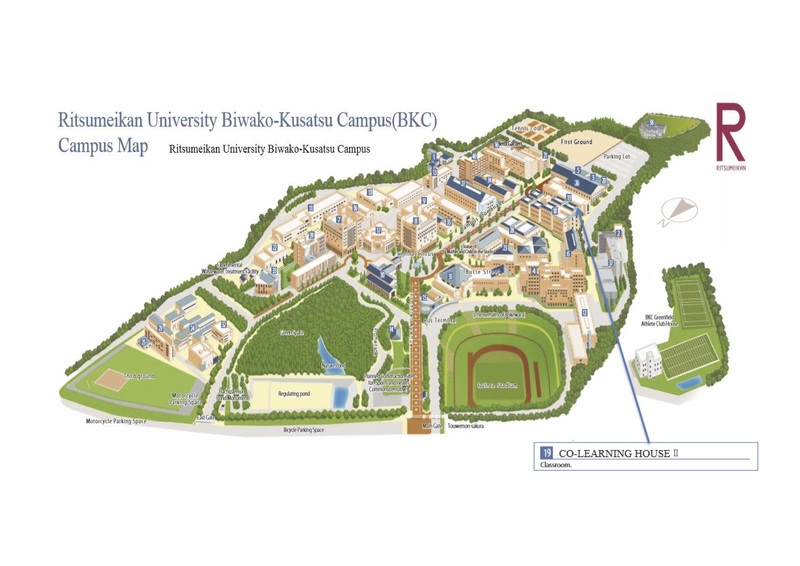 There are convenience stores on campus and in front of the university front gate, while the cafes on campus are closed. guideline for JASFL presentation available on the left. be sent to JASFL Secretary (secretary@jasfl.jp ) as an attachment file. can walk to the venue, Fusokan, in 5 minutes. The JASFL Spring Meeting 2012 will be held as follows. We are now calling for workshop presentations. Those who plan to give workshops at the meeting are requested to submit their abstract to Secretary (Prof. ITO: nito@mail.doshisha.ac.jp) by the end of March. The JASFL official website will move to "www.jasfl.jp" from 2012.